B.o.B broke through as a mixtape rapper with an unlikely coffeehouse-troubadour streak, and his first big commercial successes also tended to cross genre (and racial) boundaries. 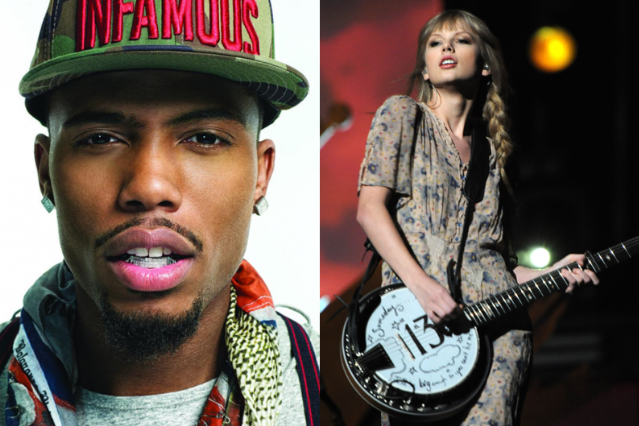 The latest track to surface from Bobby Ray’s May 1 album Strange Clouds follows his smash-hit collaborations with Bruno Mars, Paramore’s Hayley Williams, and Weezer’s Rivers Cuomo by tapping perhaps his unlikeliest musical partner yet, country-pop superstar Taylor Swift. It’s almost like two songs in one, jumping between Swift’s earnestly sung, acoustic-plucking hook and B.o.B.’s electronics-backed rap verses, with soporific strings and Bobby’s own vocals providing the glue between them. In all, as with the new B.o.B album’s Lil Wayne-assisted, stoner-friendly title track and soaring, Ryan Tedder-bolstered radio anthem “So Good,” it’s an obvious hit, though it’s not necessarily up to the caliber that made either of its stars worth watching in the first place. Time will only tell, though, if endless replays during sporting events, end-of-camp PowerPoint slide shows, and heart-tugging commercials will eventually break down our resistance and allow the song to find an enduring place in the American songbook through sheer populist appeal. “Sincerely yours, from one of y’all,” the multi-platinum rapper signs off one of his verses, and it’s trite, but he makes you feel like he means it. Listen here (via Oh No They Didn’t! ).